Multiple reports in the past few years have suggested that Samsung is working on a foldable smartphone. 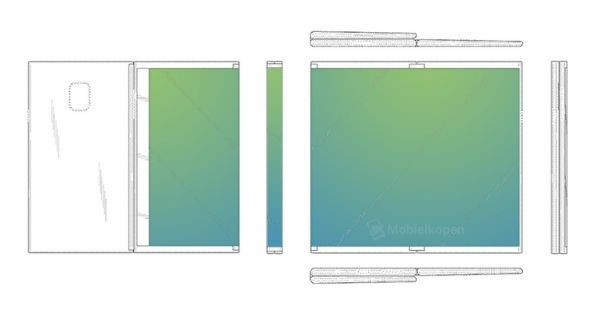 We’ve already seen a number of possible reference designs of the first range of foldable handsets from the Korean tech giant in a number of patent filings. Some reports suggest that the vendor’s first device in this segment could be dubbed the Samsung Galaxy X. Now, the company has filed a trademark for a product called the Samsung Galaxy Fold in the United Kingdom. This is also being speculated to be the final name of the manufacturer’s first foldable smartphone. Samsung filed for the Galaxy Fold trademark on November 27th. The product has an application number of “UK00003356515”. The patent has been filed under the “Class 9” category, which is only for smartphones and tablets. So it’s very likely that this trademark filing is certainly not for a notebook. The patent was filed on behalf of Samsung by London-based Fieldfisher LPP, which recently also applied for another trademark dubbed “Samsung Rize”. It’s worth mentioning that some of the earlier reports indicated that Samsung’s first foldable smartphone could be dubbed the Flex. Notably, the brand’s rival LG also recently filed trademarks for its first foldable offering. As per the patent filings, LG’s first device in this segment could be called the LG Flex, Foldi, or Duplex. Notably, back in 2014, LG launched the G Flex smartphone, which arrived with a curved display. As far as Samsung’s first foldable phone is concerned, the device was recently reportedly showcased at the Samsung Development Conference (SDC) 2018. The handset is said to feature a 7.3-inch Infinity Flex screen, which could be folded and unfolded from the middle. The phone is also tipped to feature a secondary 4.58-inch cover display. According to the reports, the smartphone will be hitting mass production soon, and will be released to the public at MWC 2019. We will keep you posted regarding more details of the first range of foldable phones as soon as anything new pops up on the interwebs, so stay tuned to 91mobiles for regular updates.